If you have been looking for a workable solution for your industrial or manufacturing storage needs, turn to the leaders in container storage: Aaron Supreme. We specialize in renting and selling high-security storage containers and trailers for a variety of industries, including industrial and manufacturing. We can deliver your container to the location of your choice, from warehouses to plants. 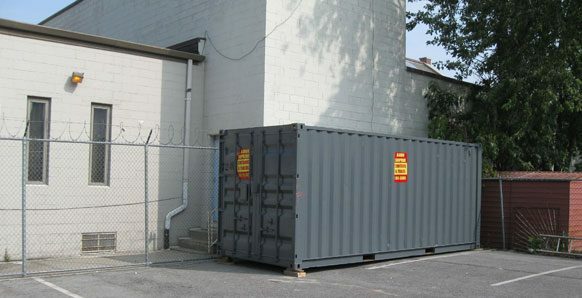 Keep your inventory safe and sound all year round with a storage container from Aaron Supreme. We offer affordable purchase and rent rates designed to fit your budget. Not only can the right container reduce your shipping costs, it can also maximize storage and protect your products from shrinkage and damage. Aaron Supreme proudly serves manufacturers in Connecticut, Massachusetts, Rhode Island, and New York, and has been doing so since 1964. As the owner of a warehouse, manufacturing facility or industrial plant, you understandably need secure places to store your equipment and supplies when not in use. For that, turn to Aaron Supreme today.